The value of health records on the black market dropped substantially in 2016. A set of health records is now reportedly attracting a price of between $1.50 and $10, according to a recent report from TrapX. Back in 2012, the value of a complete set of health records was around $50 to $60. The fall in price is easy to explain. Last year saw more than 113 million healthcare records breached, according to figures from the Department of Health and Human Services’ Office for Civil Rights. The vast majority of those records are in the hands of cybercriminals. Supply is now outstripping demand and just like any commodity, that results in a dramatic fall in prices. Stealing medical records is now much less profitable which means cybercriminals have to recoup their losses from somewhere. That does not mean the healthcare industry is likely to be attacked less. Instead the fall in price is likely to lead to even more attacks. In order to make the same level of profit, more records need to be stolen and sold on. The fall in the price of healthcare records has also prompted cybercriminals to change their tactics and look for new ways to make money. Many have opted for ransomware. 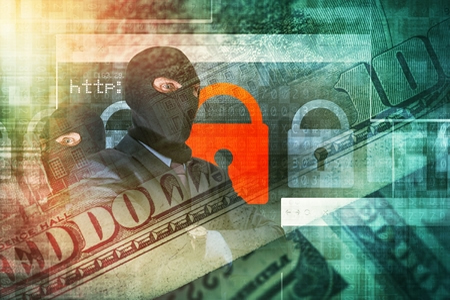 Ransomware offers cybercriminals a quick and easy source of cash. Ransom payments are typically paid within 7 days of the malicious software being installed on healthcare networks. It is also relatively easy to bypass healthcare organizations’ defenses to install ransomware. Given the quick source of cash, the ease of attacks, and the high likelihood of payment, it is no surprise that ransomware has proven so popular. It is difficult to calculate exactly how many healthcare organizations have been attacked with ransomware in 2016, as not all incidents are reported. However, hacking incidents affecting more than 500 individuals are. TrapX calculated that major healthcare data breaches increased by 63% in 2016 (January 1 to December 12, 2016) compared to 2015. TrapX classed any breach of more than 500 records as ‘major’ and only included hacking incidents. In 2015, 57 major healthcare data breaches were reported to the Office for Civil Rights, whereas in 2016 there have been 90 reported breaches and the year is not over yet. Since healthcare organizations have 60 days from the date of discovery of a breach to issue a report to OCR, the final figures for 2016 will not be known until March 1, 2017. The end of year total is certain to be considerably higher than 90 breaches. The healthcare industry has responded to the rise in attacks by committing more funds to cybersecurity defenses. Employees are being trained on security best practices and overall awareness of security risks such as phishing has increased. Even so, many healthcare organizations are still falling victim to ransomware attacks and hacking incidents continue to rise. TrapX, along with many security experts, predicts the use of ransomware will continue and attacks on healthcare organizations will increase in 2017. Hacking incidents are also likely to rise, with TrapX predicting attacks on medical devices will significantly increase in 2017. 2017, it would seem, is set to be yet another difficult year for the healthcare industry.